Today we’re back in France, where Essie Fox revisits the scandal, passion and realism of Flaubert’s Madame Bovary. I have written three gothic Victorian novels, all of them set in England, and during my research for them I read so many stuffy, moralistic works that were produced during the nineteenth century. And then came Madame Bovary, and I was simply blown away. Because of its originality. Because the author obsessively strove to create a perfect work of prose, with a ‘literary realism’ to convey a vivid material world, against which the reader could then compare the airy dreams and fantasies through which his heroine tries to live. Tries, and ultimately fails, and ends her life in tragedy. First published in 1856, it was initially serialised in Le Revue de Paris magazine, where it caused an immediate scandal, with themes of sexual passion resulting in adultery. The author was hauled up into court on charges of obscenity. In the end, he was acquitted, but the case was so notorious that when the novel then came out as a book in 1857 it caused quite a sensation. Madame Bovary is a masterpiece that feels entirely modern. 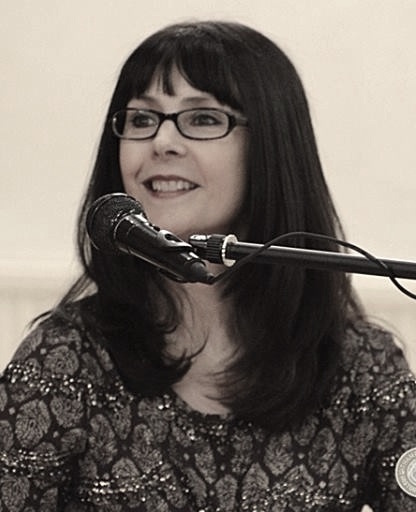 Not romantic or sentimental, it shows the slow unraveling of a flawed and complex heroine. Many today could sympathise with the convent-schooled, flirtatious girl whose romantic notions of the world have been completely influenced by the popular novels that she reads – which encourage her airy vanity – her hopes to live in wedded bliss. But Emma must face realities when she becomes a doctor’s wife and lives in provincial mundanity. Her husband is not cruel to her, but he is a dull and plodding man, and probably the same in bed. Sexually, Emma Bovary is a discontented woman. Even the birth of a daughter fails to satisfy a desperate need to escape her dreary life’s confines. She finds solace in a family friend. Leon Dupuis is a young man who shares our heroine’s desire for music, art, and literature – until he decides to go away and study law in Paris, hoping that way to try and forget the woman who he cannot have. But Emma’s marriage is not saved, for during Leon’s absence she meets with Rudolphe Boulanger, the immoral local landowner by whom she’s rapidly seduced. The affair goes on to last some years during which she falls in love with him. Or, is she in love with Rudolphe’s wealth, or the promise of a different life? Whatever, he is very far from the glamorous hero in her mind. And she – she is simply another wretched lover who he’ll soon discard, with her hopes to elope then cruelly dashed when, just as they plan to run away, he sends her a basket of apricots in which he conceals the letter to tell of his betrayal. Heartbroken and deeply shocked, Emma is seriously ill for months – until she’s well enough to visit Rouen with her husband, where they chance to meet Dupuis again. Thus begins a new affair when Emma often travels to visit with Dupuis alone. Before too long they both grow bored, but neither can admit that fact. Emma is spinning out of control. The climax is not far away. She simply cannot bear to leave the glamour of the city life in which she feels much happier than in her small provincial town. But she also finds herself in debt when she borrows large amounts of cash to deck herself in fancy clothes, to decorate her home with many ornaments and furnishings that she simply can’t afford. All the material clutter that might hope to fill an empty heart. However, when a loan shark then insists she pay or else reveal the double life she’s leading, Emma cannot face the pain of admitting what she has become. She takes arsenic, and she kills herself. She condemns her husband and her child to a life of shame and misery. 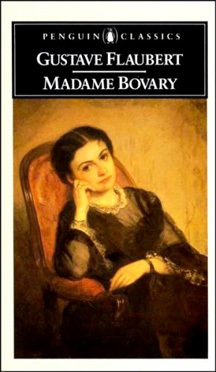 Madame Bovary is a tragedy, with that suicide inevitable from the day when Emma marries and is locked in a cage like a wild bird; as were so many women in a time without equality, when the only hope of advancement tended to be through marriage. Flaubert also takes all those romantic sentimental books his heroine once loved to read and turns the genre on its head. He shows that dreams can sometimes bring more misery than happiness. As such, he reveals the real world. The real secrets of our hearts. 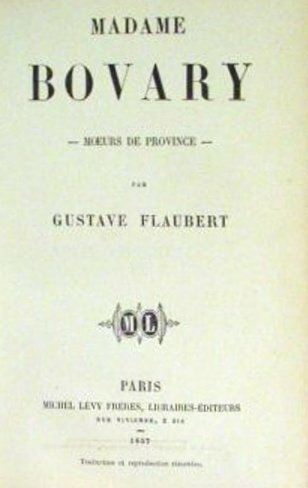 There have been many screen versions of Flaubert’s Madame Bovary. 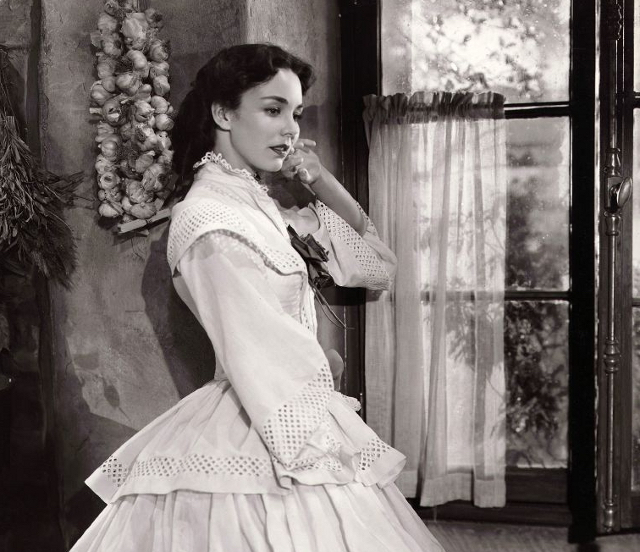 The image shown in this review is a still from a film starring Jennifer Jones. It was made in 1949, directed by Vincente Millenni.